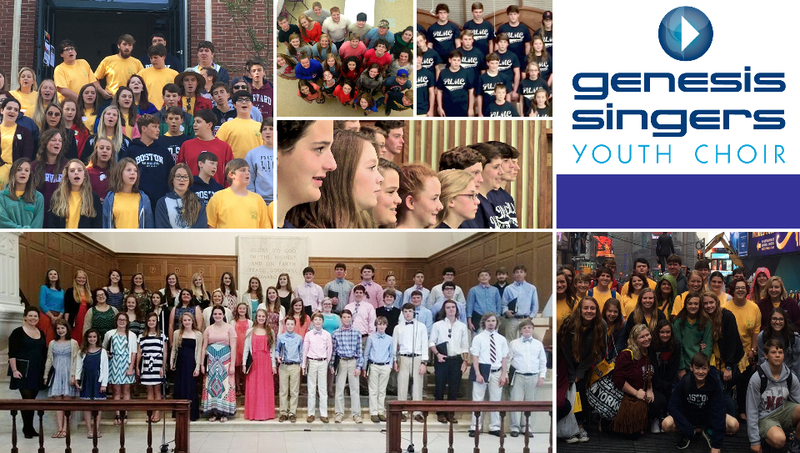 Genesis Singers Youth Choir is one of the most exciting musical organizations at FUMC! This choir is open to youth who are in 7th - 12th grades. The choir sings a mix of contemporary and traditional church music. The Youth Praise Band also accompanies the choir for a contemporary sound. The Genesis Singers rehearse on Sunday evenings from 5:00 pm - 6:00 pm in the Music Suite behind the Sanctuary.